Market research is essential for businesses to learn more about new markets or to get correct market updates. This is essential data which requires resources who are experts in extracting the required information from the target market. 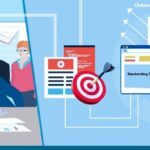 Such resource-intensive processes are typically outsourced to established outsourcing data entry service providers who are also proficient in market research. They will have the experts to design and execute the research process and input the information strategically to ensure quality output. Digitized information can transform the way businesses are managed. There’s information available on click which saves much time and effort. Digitization also makes data processing much faster and easier. 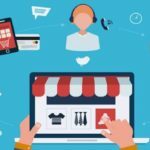 Digitization saves the business the most expensive business space. It can fetch information faster and store them in the databases or any other format required. This saves storage space. Digitization also saves the business printing and stationery charges allowing the business to go paperless and green. With accurate and complete information in hand, you no longer have to base your decisions on age-old data or mere guesswork. 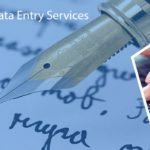 Digital data entry services providers will offer accurate and on-time information. When the managers consider outsourcing, they will have almost real-time data to refer to which reduces the risk significantly. To ensure reliable and accurate information, the outsourcing partner will employ the right experts, the right technologies and the right processes and strategies in place. Quality and security will be given utmost importance to make sure that data is reliable. With the right outsourcing partners, you can assure your clients of 24*7 support services which will ensure better client satisfaction and faster resolution of issues. The outsourcing partner will have experts in handling client queries to offer the best solutions to customers. The right infrastructure, hardware and technologies will be employed by the outsourcing partners to offer the best of support services to all their clients. Providing technical support is another interesting process the offshore BPO Company in India offer to the parent company. Technical support requires technical expertise which the outsourcing partner will definitely have. They recruit qualified professionals who are trained to handle customer queries on technical aspects. They will also have scalable resource strength which comes handy especially during the peak seasons. In the modern era, outsourcing offers many critical benefits to the business. While the above-mentioned works add value to the business, there are many more that are critical to completing the processes on time. Outsourcing definitely offers the best solutions to all types of businesses.